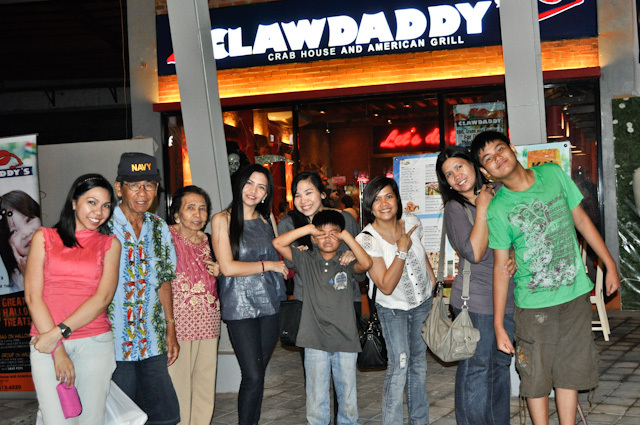 Had the chance to use my very first purchase of ENSOGO vouchers for Clawdaddy to celebrate my Nth birthday (I'm not counting anymore, hehe) with my family and glad those vouchers really worked!!! It saved me 40% of my total bill and that's what I call wise spending! For those clueless about Ensogo , it is a FREE service that offers great deals of 50%-90% savings on the best things to enjoy, see, eat, and buy in Manila. We had our dinner at their branch at Centris Walk, a fairly new dining destination in Quezon City just a short walk away from the Quezon Ave MRT Station. 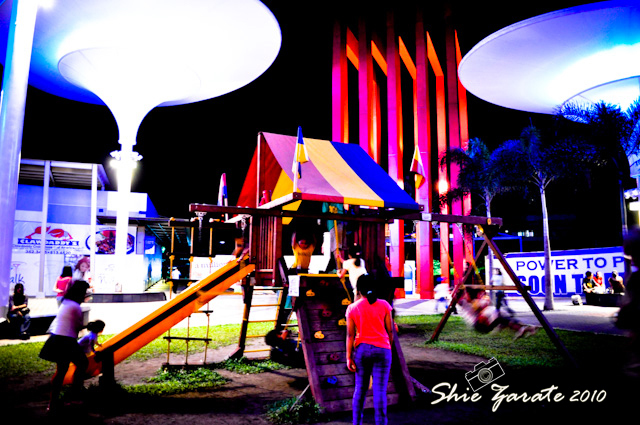 The place is still about 80% complete, but your kids will definitely enjoy this new place that has a nice playground at the center and constellations of lights that looked like giant mushrooms and numerous fine dining restos to choose from. They left it all to me to do the ordering since it was my birthday treat. 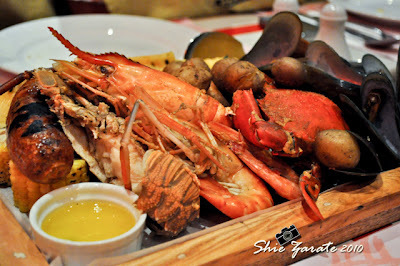 First on my list is the FAMOUS SEAFOOD Boil for PhP 1,495 per order. 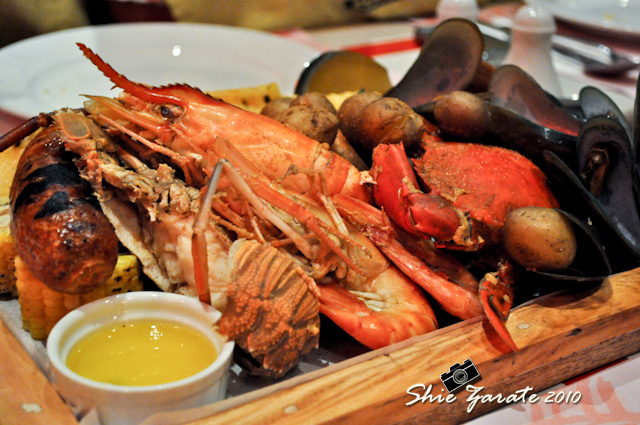 It's a seafood feast of crab, rock lobster, fresh water prawns, mussels, clams, andouille sausage, corn on a cob and baby potatoes simmered in Clawdaddy's seafood broth. 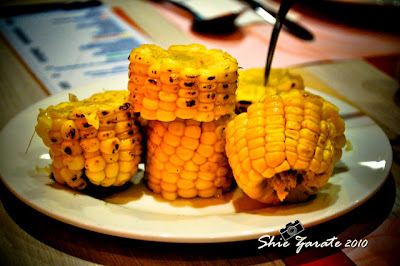 It goes with a complimentary bread basket, chilled watermelon slice and a pitcher of house lemonade. 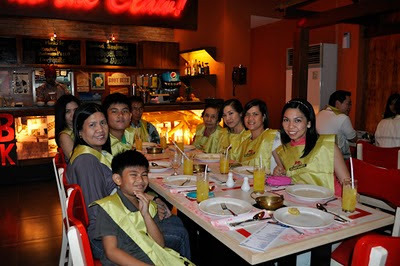 But before getting messy eating all these yummy looking food, everyone had to wear this gold bib that has a print that says "Who's your Clawdaddy?" This was the King BBQ Caboodle for PhP 998 per order. 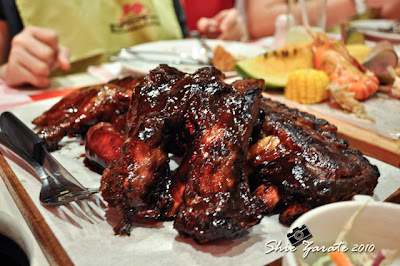 This order has full slab baby back ribs, hickory BBQ chicken quarter, bountiful beef ribs, our choice of three sidings (coleslaw, french fries and dirty rice) served with watermelon slice. 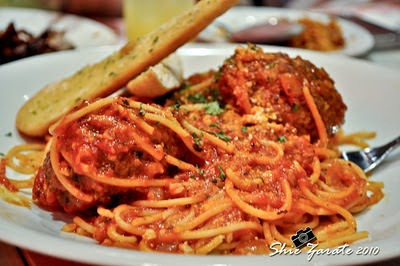 Of course pasta is a must for any birthday treat, so we had Spaghetti and Meatballs for PhP 365 per order. It has two (2) quarter pound braised meatballs mopped with pomodoro sauce. 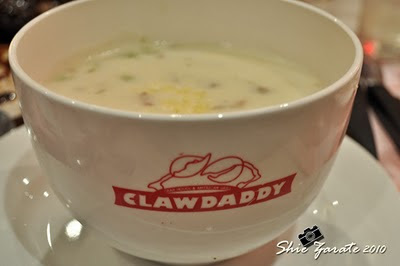 Also their Boston Clam Chowder Soup is good as well, for PhP 159 a bowl its good for two. Its a hearty cream based soup with fresh clams, potatoes, smoked bacon and cheddar cheese. The photo speaks for itself, everyone enjoyed the food, its just too bad they ran out of deserts that time so we decided to have our sweet fix at the nearest Jollibee drive thru ordering sundaes for each one of us.